This is the S C A L A and its role in life is replace the Rapid and to take on the Ford Focus (and the Golf, I suppose). Or to give Focus customers another reason not to buy a Focus. The USP is the umbrella in the door and the ice-scraper in the fuel-filler cap. If you really want to find out a little bit more about the way it looks, I have prepared a few notes. This is a surprisingly hard car to write about. It is not poetic – something I have been thinking about lately. A poetic design suggests alternate meanings and encourages imaginative looking. What is here? It allegedly features Skoda’s new styling theme or “language” as they call it. The main elements of interest are the use of Megane-a-like brightwork spars on the side glass, which strikes me as a very un-Skoda way to work with tinsel; the hatchy-estatey rear end and perhaps the slightly more distinct break in the profile between the front screen and roof panel. Sit down and have a breather, if you need to. An interesting (for me) thing is the fact the profile of the car is rounded and the graphics are so angular. You can see this on the front three-quarter view. noise in the area over the front wheel arch. It’s the arc of the highlight from the undercut colliding with the straight line of the bonnet panel gap. See… just there… it’s not happy. I think this is quite an aggressive front end. Is that necessary? There’s more relief on the grille and around the lower air intake too. The sum of the shapes suggests anger and other negative emotions. Think of that nice, friendly, elegant Fabia from 1999. Grrr. corner there’s a round one, jostled by that swage line. It has stance, I suppose. It’s also missing much personality, would you not agree, dear readers? We will have to see the interior in real life to judge whether the cheques the shapes are writing can be cashed out in quality. In a way, it’s quite straightforward which I like. There is a simple slab of metallic panel across the centre with logically placed cut-outs for the vents and the figure-ground relation is clear. I presume this is as simple as anyone dares to do these days – note to our car design community friends, how about taking out half the lines and see how it looks? Car interiors are so appallingly baroque it’s time for a sharp reduction in the busy-ness coefficient. I had a look at the rear seat. Guess what’s missing? This is supposedly a car people will drive a whole day in. At this point I am stamping on my keyboard in a blind rage and running away foaming at the mouth. I can relate to our Dublin correspondent’s lack of enthusiasm for a lot of the new vehicles on offer in recent years. Skoda, despite its enforced position at the bottom of the heap, used to plough its own path at VAG and I get the feeling that this and other recent Skodas shows that soft, featjery wings have been clipped and the resultant cars are sinking in a foam of generic VAG shapes. So, yeah, since it’s so bland, they really do need to write S K O D A across the back in 124 point letters. I thought they were too big at first. No, those letters aren’t big enough. I like this interior because there’s a real handbrake. It would be perfect if it was available with a normal instrument panel. On the outside I see a large pedestrian friendly proboscis carrying the Skoda logo and an outsized and chamfered grille guiding pedestrians onto the bonnet. The rest is crap but still far better than any other current effort on the market. It’s not good but it’s far less bad than other offerings. What a sad reason to like a car. …and wasn’t a steering wheel supposed to be shaped like a wheel and not like a potato? I think the digital instruments are optional. As ever, this VAG model will be very spec-dependent… and I think in the right circumstances it could be a winner. 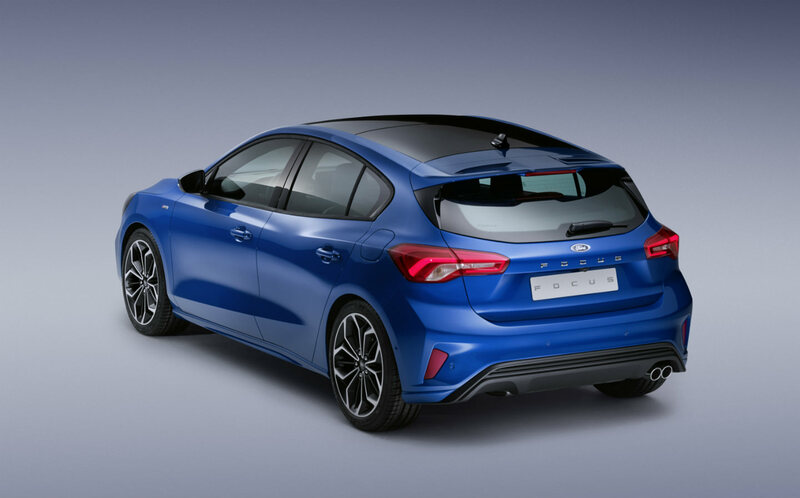 The Seat Ibiza with the 3 cylinder petrol engine is a very sweet thing, so this (as an essentially bigger version of that car) could be very good. Children in car seats won’t miss a rear armrest, but will appreciate their own air vents, and parents will appreciate the large luggage compartment. The exterior styling is a bit off, perhaps even a little pretentious (certainly not a desirable Skoda trait) but I think this could be a ruthlessly competent and, ultimately, quite likeable car to own. Jacomo: the lack of the armrest is inexcusable. They may as well put a metal panel in place of one of the side windows or fill the footwell with gravel..
Richard you are quite right to obsess over rear seat arm rests. And thanks in part to your ability to draw our attention to such details, I have now become obsessed with air vents for rear seat passengers. I have been eyeing up the Alfa Giulia. A recent search revealed not a single used model for sale in the UK with both, despite both features being available in certain specs. What utter madness is this? Contented children have a direct bearing on my driving enjoyment. It was pure good luck and also the wish to write something timely. It was also a challenge to myself as I´d not normally give much time to a design like this, neither original, novel, elegantly classical or interestingly flawed. If it was lasagne it´d be one with the carrot diced into a different shape than normal and the bechamel made with some other seasoning for a change. First of all: Who do Skoda’s marketing people believe they’re kidding? ‘New design language’? This is as obviously a design developed under former Skoda chief stylist, Jozef Kaban, as a tweet featuring lots of misspelling, dots, CAPS LOCK emphasis and referring to ‘The President’ in the third person obviously originates from the leader of the free world taking a dump between boring meetings. As much as I love the hardly dissimilar Superb, I find this Scala rather difficult to truly appreciate. It obviously wipes the floor with anything Audi come up with these days, but that’s as backhanded a compliment as they come anyway. Much of Skoda’s ‘premium’ appeal (and hence the brightwork Richard highlighted) is due to VAG having felt compelled to use the Czech brand as a means of staving off the Korean threat. Coupled with Mr Kaban’s personal ambition, this could result in a design like the Superb’s, which ruffled up quite a few feathers at Wolfsburg and Ingolstadt, due to being rather too accomplished. This Scala isn’t that, but it’s still a lot more coherent than a great many other VAG designs these days. In addition, Richard is being unnecessarily snide when he boils the Skoda brand down to just ice scrapers and umbrellas. Based on talks I had with some of Mlada Boleslav’s more senior designers, I can attest that they’re a lot more concerned with users’ real-world issues than most of their colleagues at other brands. Coming back to some ‘new design language’, I’m convinced that there will be considerable changes applied to Skoda’s market positioning and visual appearance in due course. For not just Jozef Kaban, but also the executives that signed off those rather sophisticated Skodas have since gone for pastures new (or the reclusive secluded comforts of a Munich villa, as in Martin Winterkorn’s case), which leads me to believe that Oliver Stefani has tasked his staff to return Skoda to the simpler flair of those days when Thomas Ingenlath and Dirk van Braeckel where overseeing the Czech look. As a Skoda owner (current rendition of the Octavia Estate), I agree with the real-world usage of Skodas. Indeed, it’s almost a shame that they felt they had to gild the lily by dropping in the umbrella and ice-scraper (these days, the latter also has a tyre tread measure feature, I have read) as they are a little too obviously part of the ‘mood-board’ and so detract from its innate authenticity and honesty. Our Skoda is painless to own and pleasing enough to drive. The interior is large and comfortable and this is emphasised by the large and deep windows. I’d mark it down for a slightly knobbly and noisy ride (better than my old Mazda 3 Fastback) and that, for all it’s competence, it comes across as a bit of a cold fish. When I wanted a new car to carry my family and double as a reliable and efficient commuter, I did not set out to buy the Octavia, and we sampled a number of alternative solutions before we landed on it, but now that it’s with us I still can’t think of anything better at what it does for us. That noise over the front wheel arch is common to most new VW Group cars these days, with the exception of the SEATs. For me, there’s something not quite right about this car – as you say it’s a rounded (dumpy?) profile with a lot of harder-edged forms in the surfaces and details. Moreover, it’s not that different from the Rapid Spaceback (did I get that right) which preceded it. Add in the ‘new emotional design language’ schtick and isn’t it all a case of ‘the lady doth protest too much’. The interior is OK, but unexceptional, with that me-too design of plonking the infotainment screen on a ledge on top of the dash. Overall, OK, but not what they claim it is – and that’s disappointing for a Skoda. Good morning, Richard. Thank you for prompting me to look at the full set of launch pictures released overnight. As a fan of Skoda’s design, I really wanted to like this. Unfortunately, all I see is an undistinguished profile on which a few design “flourishes” sit rather uncomfortably. 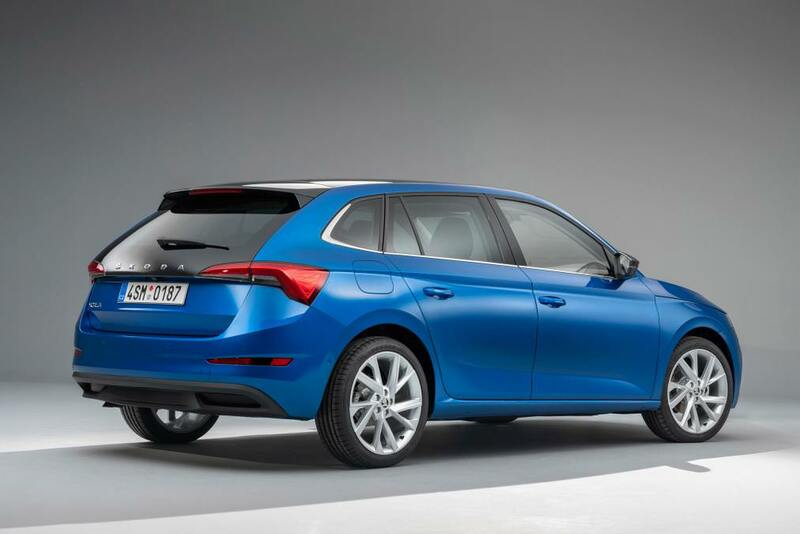 The profile is more that of an estate car than a hatchback. This makes sense, I suppose, if Skoda’s intention is to offer more space and practicality than its rivals. At least it has lost the long and narrow “hunchbacked” look of its predecessor, the Rapid Spaceback. The most dissonant feature for me are those headlamps, which are precisely the wrong shape for the space in which they sit, exacerbated by an unrelated diagonal crease in the bumper beneath. Skoda has a real problem with headlamps at present. The facelifted Octavia and Fabia both have front ends that are less well resolved than the pre-facelift models. The Kodiaq and Karoq have awkwardly shaped small supplementary lights immediately below the headlamps that only add unnecessary visual clutter. In the front and rear three-quarter views, the shut line between the clamshell bonnet and front wings appears to be less well concealed than on the Superb, where it is, er, superbly resolved. That may be a consequence of the conflict Richard identified above. I’m not convinced by the S K O D A badging on the tailgate, although this may be driven by a desire to increase brand recognition in newer markets such as China. The chrome flash is frivolous and very un-Skoda like. I’d prefer the car without this. The downward turn on the outer ends of the tail lights is rapidly becoming a new design cliché to rival the waistline uptick and triangular third lights in the C/D pillar. Who started this? Opel with the current Astra, or Fiat with the Tipo, both released in 2015? Overall, the Scala is (mainly) competent, but no more than that. It’s a far cry from the imagination and skill Skoda designers demonstrated in the Yeti and Roomster. It’s hard to escape the impression that Skoda is being straitjacketed by VW. They are forced to try and express some individuality through rather unsatisfactory and inappropriate additions to generic VW Group designs. After 15 minutes, I’m already bored with the Scala, as there’s nothing that is genuinely new or interesting. Clean surfaces and angular shapes became to my eyes the trademark feature of the SKODA volume trio (Fabia, Octavia, Superb). Roomster and Yeti added a sophisticated icing to that SKODA cake, a taste of which was by association carried to the aforementioned and more conservative volume trio. Chapeau SKODA, those were remarkable times! The moment that very thought popped into my head, it also made me wonder: why has this only become so apparent to me once this S C A L A appeared on the scene? Does it really need mish mash of Kia, Audi, Seat and Lexus lines that leaves neither a consistent nor a particular pleasant taste on the viewers visual tongue to make the last generation Skodas “what they truly were”? And if that is the case, does that mean we should be thankful for the S C A L A for having elevated the previous cars to a higher level? I will view every Fabia I see on the road with different eyes now. Hi S.V. My brother-in-law is now on his second Skoda, a Kodiaq, which replaced a Superb estate. He was very sceptical when I recommended the Superb to him, being somewhat badge conscious (He previously chose a Saab 9-3, despite me describing it as a Vectra in drag). I described the Superb to him as “all the car you’ll ever need, if not all the car you might ever want” and he was won over by its sheer useability. I drove the Kodiaq in Dublin a few weeks ago. It’s a very nice car indeed. The difference in “premium-ness” between it and an Audi is down to some interior surface finishes but, apart from some too-shiny chrome embellishment here and there, nothing looked cheap or skimped. A rational choice. Hi S.V. My brother-in-law is now on his second Skoda, a Kodiaq, which replaced a Superb estate. He was very sceptical when I recommended the Superb to him as he was quite badge conscious. (He previously drove a Saab 9-3, despite me describing it as a Vectra in drag.) I described the Superb to him as “all the car you’ll ever need, if not all the car you might ever want” and he was won over by its sheer useability. I drove the Kodiaq on a recent trip to Dublin and it’s a very nice car. The difference in “premium-ness” between if and an Audi is mainly down to some interior surface finishes. Nothing, apart from some too-shiny chrome embellishment here and there looked downmarket or skimped. A rational choice. A very good article and i also agree with most of the comments. As I saw the frontlights, i was sure, this is the new Seat Toledo. A Skoda with a typical and important Seat-detail is not a good idea at all. And it is needless, the sharp frontlights don´t do the car any favour. That´s a pity because i like the concept of the Rapid / Salsa. Practical, spacious, not that wide and affordable. And with nice colours. The interior is also really pretty for a low cost car (if the version shown can be counted as a low cost car). Strongly kerned rear badge? Check. It´s also that metallic blue that is so much in vogue. To be fair to Skoda, the w i d e s p a c e d script comes from another source which Ford also used. And to be fair to Ford, it´s a much nicer-looking car. I think both cars´ designers are drinking from the same well, being moved by the same “Zeitgeist”. Ford kept the bumper-body split away from the radius of the rear lamp which was good. On the Skoda and 308 the same panel gap meets a corner on the lamps and makes what should be a rounded corner into a pointy one. The more I look at the Focus the more humble pie I eat. It is turning out to be a car whose interest lies in the subtle tailoring of all the small parts rather than in a few bold lines. It´s like the Mk2 Focus which I mistook for inert but was actually a masterpiece of considered forms. It may be edging into my Top 20 list of favourite car designs (the Mk2). I won´t be able to say anything conclusive about the Mk 4 until 2029, at the earliest. Watch this space. I’ve read and re-read this article and the comments it has generated. Deeply appreciated. Richard, you have an eye for design that I could never possess. Even with DTW’s helpful assistance, I retain a belt and braces kind of guy when it comes to the subtle (or not) nuances of themes or language. If I like it, great, job done. But I find it hard to extrapolate why. With this Škoda Scala, I’m pretty ambivalent towards it. But I think it is a far better than a, to my eyes, boring Golf. Yes they’ve sold countless millions of those but that is a very staid car. This Scala looks at least modern and will no doubt be selling like the proverbial hot cake. I do not like the lights, the lack of rear badge and the long name but as SVR has stated, it will be a perfect family car providing space, economy and nice step up from the mundane Golf. I can’t say I’ve seen a steering wheel shaped potato either but hey ho. My weapon of choice is a Mk3 Octavia which I hope to keep for ages as there is precious little out there to tempt me to change. I admire Škoda’s ethos but as stated fear that there are in a VW straight jacket; I heard a rumour that VW were trying to keep Škoda at bay for fear of outgunning the father figure. The Scala is not for me but I expect to see lots soon and that’s no bad thing. For me it beats both Focus and Golf. But why did they choose Tel Aviv to launch it in? Andrew – thanks very much. I do my best with the design matters but lately suspect I have sensed limits to my articulacy or boundaries to the extent to which I can develop the thoughts. At best I´m probably more like a sub-editor, suggesting changes rather than like a literary critic of any great perceptiveness. Try Hamburg for that. But, yes, thanks. You mention the Golf. Funnily, the Golf is meant to be staid and mundane. It never makes promises. I feel the S C A L A is suggesting more in its flirting dance than it will ever deliver. If we go back a few years Skoda offered some cars with real dignity and even when they had been broughamed remained sensible and tasteful and their own thing. Even that first Superb, the one based on the Passat (carry-over doors!!) was more Skoda-esque than this Seatoid. The Mk3 Skoda Octavia is still within the territory of trad Skoda; I can see why you like it. It is still not a VAG clone. Huge boot, too, right? Massive rear legroom? Not expensive? Job done. Good review. I find it inoffensive enough and suspect many people will buy them when they realise how much more expensive the Golf 8 will be and how the Golf will vacate the lower Golf segment, leaving that market to the Scala. That’s the VAG plan anyway. As to that photo of the Focus. That’s an extremely flattering photo alas. Side on there isn’t an uglier car of two different halves than that melting Focus. It looks bent to me. Put your hand over the front half and the back works. Cover the back and the front works side on. But dearie me ,when you see it all at once, it’s awful. That photo hides this effect extremely well. And that pouting fish face out front, Peugeot had the grace to cancel decades ago… sigh. So no, give me a Scala any day over a melting bent Ford blob. I recently saw a new Focus estate (for the first time, I believe). It’s exactly what you say: bent in the middle, lines from the front and the back that don’t meet and match. I have a (half-) Czech friend who wonders how Škoda got its name. In Czech it is an expression, usually accompanied by a gentle shrug of the shoulders, meaning “It’s a pity”. Very good and interesting comments about a not very interesting car.